Comments: Elizabeth Jane Young (Nee: Andrews) | Pine City NY United States | 1941-1960 | Comments: Elizabeth (Betty) Jane Andrews Young was born Aug 22, 1923 in Elmira, NY died Apr 14, 2005 in Elmira, NY Parents George Elisha Andrews and Anna Thursa Pitt brother Harold Rexford sister Wononia Jean Andrews Ketchum YOUNG Elizabeth Jane Age 81, of Pine City, NY, passed away April 14, 2005 at St. Joseph's Hospital, Elmira. 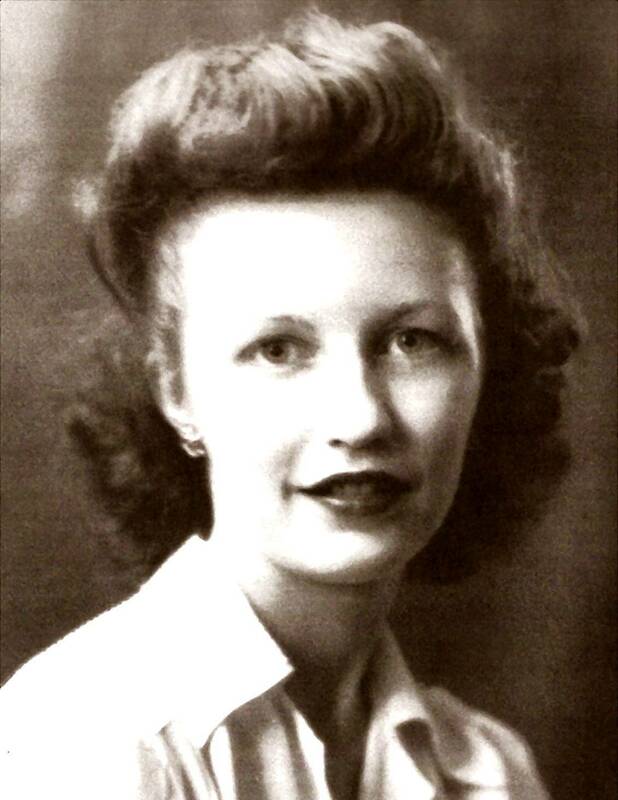 She was born in Elmira, NY, August 22, 1923, the daughter of the late George and Anna (Pitt) Andrews. Her spouse of 55 years, George E. Young, predeceased her on May 24, 1996. Elizabeth is survived by her daughters and sons-in-law, Carole (David) Ellison of Elmira, Nancy (Wayne) Ellison of Pine City, NY; son, Michael J. Young of Elmira, NY; grandchildren, Melissa (Steve) Ellison Merritt, Cyle Ellison, Michelle (James) Ellison Holleran, Melinda (Steven) Ellison Burns, Nicholas, Matthew, and Jessica Young; great-grandchildren, Hayley, Elizabeth, Dakota, Victoria Rose; nieces, Barbara (Jim) Bowman of Odessa, NY, Sue (Bob) Allen of Beaver Dams; special person in Elizabeth's life, Kathleen Keister. Elizabeth was a communicant of St. Patrick's Church. She was a sweet, supportive and strong willed lady who loved to cook, dance, and the special times she spent at the various rummage sales that occupied her and George's time. Family and friends are invited to call at Olthof Funeral Home, Inc., 1050 Pennsylvania Ave., Elmira, on Friday, April 15, 2005, from 7 to 9 p.m. with Mass of Christian Burial on Saturday at 9:30 a.m. in St. Patrick's Church, 604 Park Place, Elmira. The Reverend Walter Wainwright will celebrate the Mass. Interment immediately following in Woodlawn Cemetery. Family will provide their own flowers. Memorial donations may be made to the charity of one's choice. Those wishing may leave a ''Candle of Remembrance'' for the family in Obituaries at www.olthof.com.